OKC- For many with knee pain this could be a very important article. This treatment has helped many people relieve their knee pain WITHOUT surgery. Also, it will help you determine if you are a candidate for this FDA approved treatment. As people get older the lubricating fluid in the knee joint dries up, the cushion degenerates in the knee and the bones can start to rub together and over time the pain can be excruciating. This is often called “arthritis” Thankfully for those suffering with knee pain there is hope. This FDA Approved, Non-Surgical injection called Gel-Syn® is covered by Medicare and Insurance. Gel-Syn® adds a special “lubricating gel directly into the arthritic knee joint. Its like adding the lubrication back in to the knee joint like it had years ago. Long before the knee pain. After research and years of successful clinical trials the FDA approved Gel-Syn® as a non surgical treatment for those wanting knee pain relief. Painful, stiff knees in the morning? Painful going up or down stairs? Painful when standing from a sitting position? Take medications for your knee pain? Tried other treatments with little to no success? Need or already had surgery? 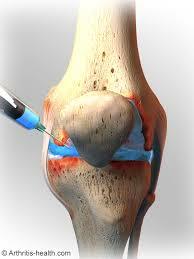 The treatment is a simple, basically painless injection into the knee joint and the healing process begins. Gel-Syn® gel bonds with naturally occurring joint fluid to create a lubricating and cushioning layer in the knee. This reduces pain, inflammation, and swelling of the joint. Gel-Syn® gel is similar to natural substances that occur naturally in your joint. 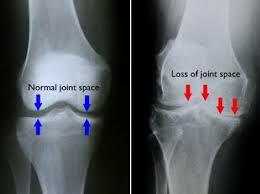 It is like adding “joint oil” to your knee, which has been lost because of osteoarthritis. It is like having a shock absorber in your knee joint that can provide cushion in the knee joint. This can allow for reduced or sometimes pain free movement. Some Doctors will NOT use digital imaging or Ultrasound during the injection procedure. This means the Doctor had to “guess” and “hope” the lubrication gel went in to the correct spot. At Oklahoma Knee Clinic our Providers use a diagnostic machine (like a camera that can see through your skin) that shows inside the knee joint “in real time” so we can actually see the lubricating gel as it is injected exactly into the knee joint exactly where it is needed. Yes. This treatment is FDA approved and only takes a few minutes and requires no surgery or dangerous medications. There is no down time and someone can resume normal daily activities when they leave our office. We can only accept 25 new patients each month so if you are interested call now 405-679-3741. If it is after hours or the weekend call now. The answering service will time stamp your call and we will reserve your spot as one of the 25 people for this month. Our office manager will return your call the next business day. Your screening will take 25-30 minutes…you will get your questions answered and leave knowing if you have possibly found the solution.